Marriage*: Otis Ray Forkner married Olivia Obera Luallin on 11 September 1925 at Lebanon, Laclede Co., MO. Birth*: Patsey Forkner was born in 1817 at Estill Co., KY.
[S1934] 1880 Meigs Co., Tenn. Census. [S1032] Unknown volume, Texas Death Index 1903-2000, unknown repository. Birth*: Phoebe Forkner was born circa 1787 at NC. She was the daughter of Sugar Forkner and Priscilla Robertson. Birth*: Pleasant Forkner was born circa 1790 at NC. He was the son of Lewis Sr. Forkner and Violet Porter. Birth*: Porter Forkner was born circa 1789 at NC. Birth*: Priscilla Forkner was born in 1810 at Estill Co., KY.
[S634] Unknown compiler, "Copeland,Harris,Lawrence,Neville,Pittman,Turner,Wheeler,", Ancestral File. Burial*: He was buried on 22 November 1936 at Happy Home Cemetery, Webster Co., MO. 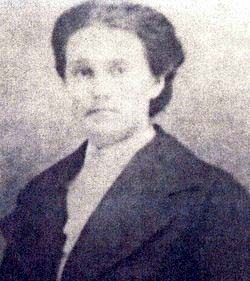 Birth*: Roxanna Forkner was born circa 1861 at NC. Birth*: Sallie Forkner was born circa 1806 at KY. Birth*: Sally Forkner was born circa 1785 at NC. Birth*: Samuel Forkner was born circa 1796 at NC. Death*: Samuel Forkner died in 1894 . [S2249] The Mt. Airy News, 16 Feb 1899.